Literacy was an important educational goal for free African Americans. PAS schools educated both young and some adult students. These writing samples represent the work of students who range in age from very young to their mid 20s. 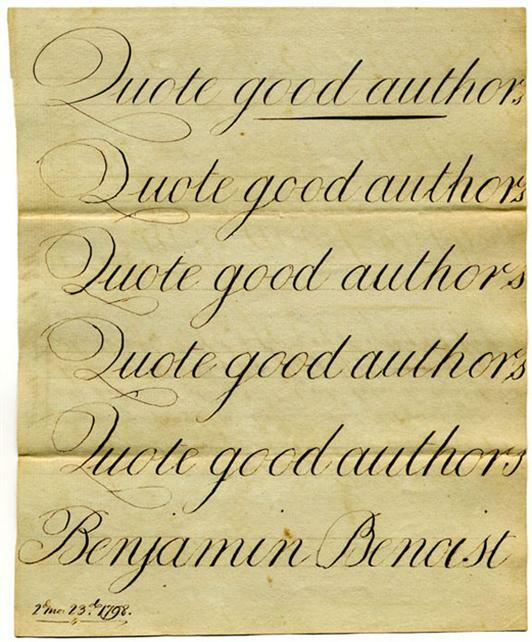 Benjamin Benoist, February 23, 1798. 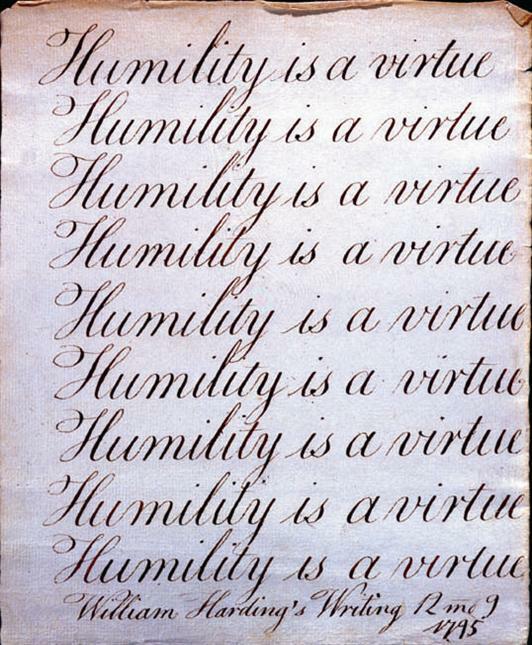 On the back of this sheet, the teacher commented: "Written by a black man about 24 years of age who had never attempted to write before he came to us. He had written thro two copy books of six sheets each, & just entered on his third book when this leaf was cut out." 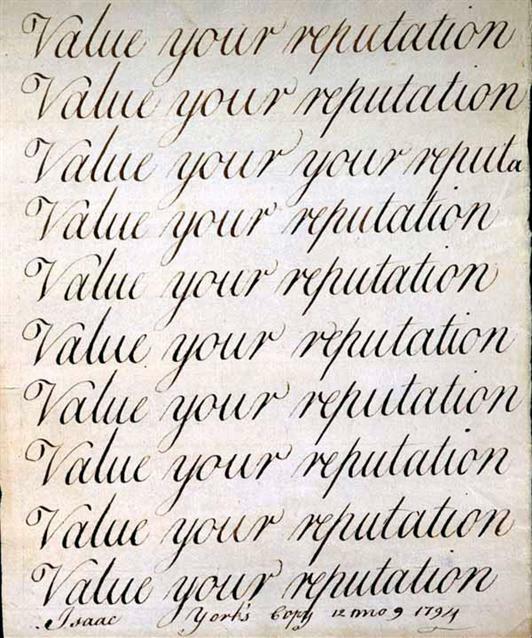 Isaac York, December 9, 1794.